Nokia has launched Asha Series affordbale priced mobile phones . 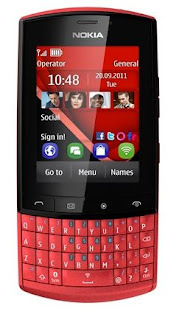 Nokia Asha 303 touch & type smartphone will be available at premium price Rs. 9000 approx and it will be available by the end of December 2011. 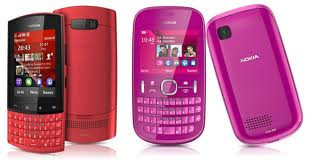 The Nokia Asha 303 will comes with a 2.6-inch resistive QVGA display with 320 x 240 pixels screen resolution, a 3.2 mega pixels camera, loud speakers, FM radio, music player, video player and 3.5 mm audio jack. Asha 303 Series 40 phone equipped with one click access to social networking applications & instant messaging and also supports 3G , Wi-Fi, WAP, Bluetooth and USB data connectivity. Powerfull battery gives long talktime up to 7 hours and continuous music play for up to 47 hours. 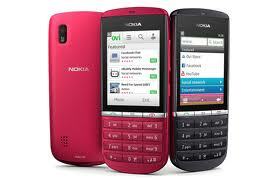 The Nokia Asha 303 Series 40 Music Phone will be available at premium price Rs. 9,000/- INR.